Wine tasting at a local vineyard is perhaps not the first thing that springs to mind when thinking about things to do in England, but the other day I found myself on a guided tour of Sharpham vineyard in Devon, followed by tasting of both their wine and cheese. 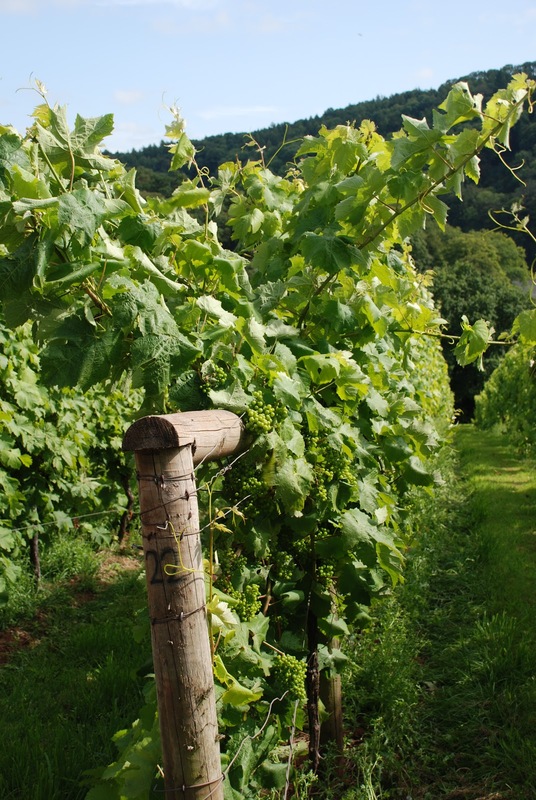 I’d seen their web page, which was friendly and inviting, but I still didn’t expect much from the experience; after all, what do English people know about wine, and can they really produce anything worth drinking in the wet and cold English climate? It turns out that my worried were unfounded. They’ve been producing wine at Sharpham for quite a while now, and the results are some rather pleasant wines. The experience started with a guided tour of the estate. You can walk on your own as well, as the routes are clearly marked, but having a guide really does make a difference. 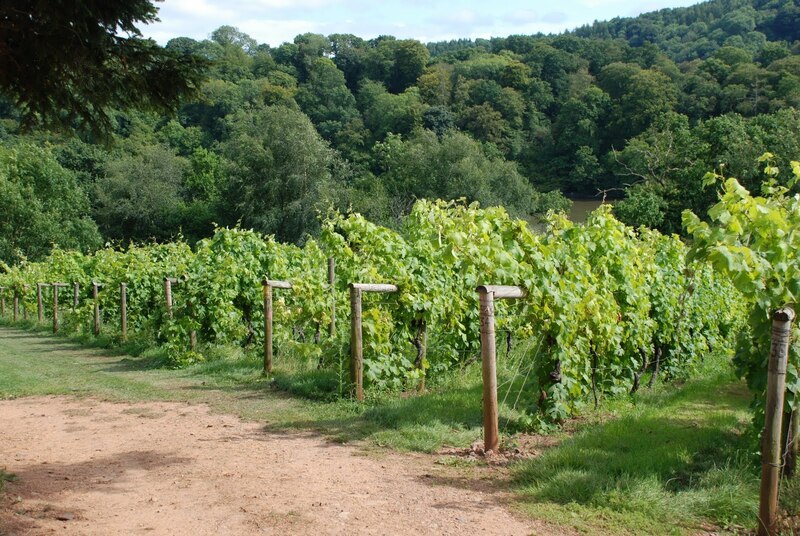 A group of random strangers who had all signed up for the walk were escorted though the sunny sloping hillsides where vines grow and produce lovely grapes. There were several stops with explanations and anecdotes, and we were encouraged to taste the grapes on the way, to experience the difference between the different varieties and also the differences in the same varieties created by varying locations. The walk lasted about 40 minutes, and we eventually arrived back at the farm where it all started. Here we were given an introduction to the production of the wines, from the methods used for crushing and fermenting, to the tasting process, while sipping a refreshing rosé sparkling wine. Now it was time for our tasting, which I think we had all been looking forward to. We started off with a couple of white wines. I am not generally a big fan of white wines, but I have to say that these two were quite pleasant, although I still couldn’t drink a lot of them. Next it was the time of a lovely rosé. With the rosé we were served one of their cheeses; a ‘Rustic’. This was a magnificent cheese, creamy and full of flavour. Finally we tasted two of the red wines, both served with cheese. Although the reds were from the same grape variety they were completely different wines, we were told this was due to the fermentation process. One was a lovely light wine, perfect for summer evenings, the other was a full-bodied more sturdy one, also beautiful but probably better for cold winter evenings in front of the fire. After the tasting we were let loose in the farm shop, and between us we managed to fairly much decimate the contents. I tried to constrain myself so that my wallet wouldn’t complain too much, but I walked away clutching a few bottles of red wine and some cheeses too. Hello. impressive post. Thanks for sharing this. This is a fantastic story. Thanks!